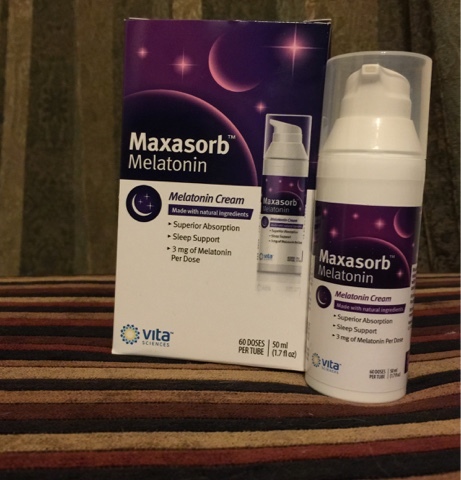 Maxasorb Melatonin "My Lucky Charm For GoodNight Sleep"
I am so very much excited about to give this product a review not just because i got them free, because this product make me excited every single time i go to sleep.In recent years I have become a much lighter sleeper and it's aggravating. Everything wakes me up and I toss and turn non-stop. I've bought ear plugs and eye masks and even tried over the counter sleeping pills, since i am a baby when it comes to taking pills :/ anyway they didn't help. I also was unable to fall asleep one I got into bed which was frustrating. 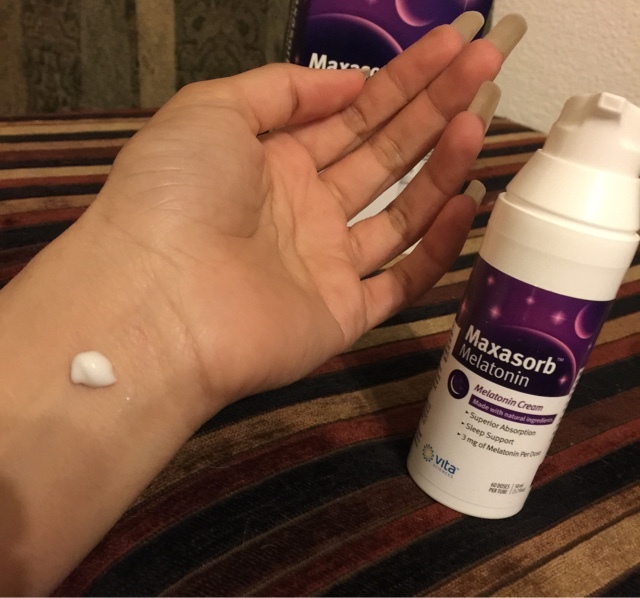 When I first used this cream I put it on my wrist & rub it before climbing into bed (this lotion is completely a Scent free & also gentle on the skin) In just a few short moments, I was very sleepy and slept a very sound sleep and didn't wake up until my alarm went off. Its only been 3 days and after every night I've found I am sleeping through the night and not being disturbed by nighttime noises.what i most love about this product that it is made with all natural ingredients & absorbed quickly without any greasy feeling. I'm in love with it & recommend this to anyone that suffers with insomnia, whether it is occasional insomnia or an ongoing issue. Aqua (Water), Aloe Barbadensis (Aloe) Juice, Cocos Nucifera (Coconut) Oil, Glycerin, Palm Stearic Acid, Emulsifying Wax, Cetyl Myristoleate, Cetyl Alcohol, Melatonin, Tocopherol (Vitamin E), Tetrasodium EDTA, Phenoxyethanol, Sorbic Acid, Citric Acid. These statements have not been evaluated by the FDA. 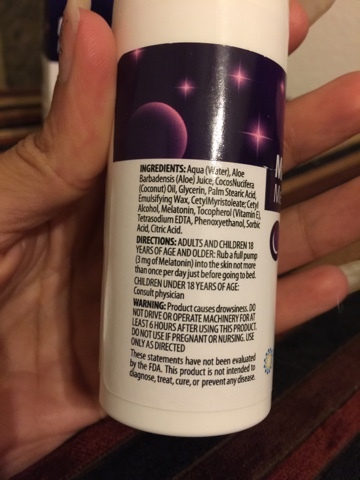 This product is not intended to diagnose, treat,cure, or prevent any disease. Oh wow, do you know that medicinal creams penetrate into your blood stream through your pores just like a pain relieving cream/lotion =) That's whats making it work. Awesome stuff! Wow looks like a life saver! Glad it works for you. Nice review dear. I also have same problem for sometime, never tried medicine but will like to try this one. But as Natasha said such medicines penetrate into our blood vessels so m thinking that shall we consult doctor before taking such creams or lotions? I haven't heard this before khair Alhamdulillah I always sleep well. OMG your nails ;). so worth it ;) do try ! Not just sound Amazing,it is Amazing ;)!! Oh Wow! I literally stay awake all night like zombie and can't sleep. I have to check this out. You Amazed Me... I will definitely like to try it... will it be available on local drug stores?